#PCI specification revision 2.2 compliant. #33Mhz PCI with 32-bit data. #Standard IEEE 1284 DB25 female parallel port compliant. #Supports up to 1.5 Mbytes/sec transfer rate. #Automatically selects IRQ and I/O address. #Supports PCI IRQ sharing to save valuable resources for other I/O expansion cards. 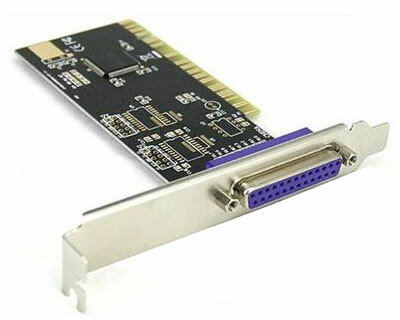 #Supports PCI-bus power management interface. #Supports hot swap and wake-up. #Operating System: Windows 98, ME, 2000, 2003, XP & Vista.